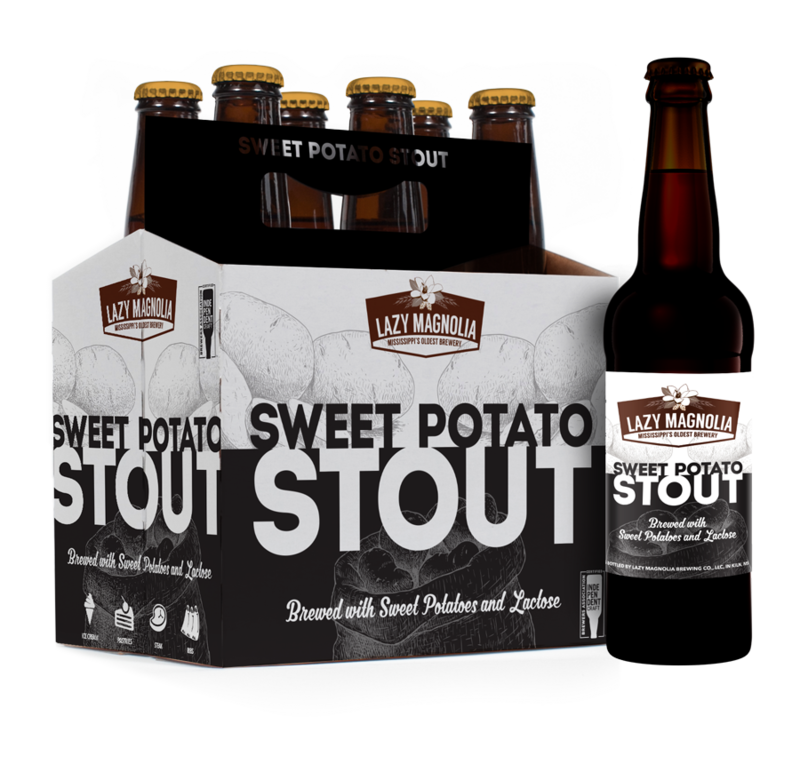 Sweet Potato Stout, our original Sweet Potato Cream Stout, is the ideal Southern-style Stout. Brewed with roasted Southern-grown sweet potatoes, the background has an impressive taste with added notes of roasted chocolate, coffee, and caramel flavors with sweetening enhanced with lactose (milk sugar). Southern Hops’pitality is Lazy Magnolia’s offering of delicious cheer to all of our fans. We pride ourselves on our porch-sippin’ and backyard grillin’ with our beloved kinfolk, and this traditional IPA offers the perfect libation to add to the Southern hospitality and charm that we hold so dear. Our session IPA has a bold citrus burst on the front end with hints of tropical fruits, such as grapefruit, orange, and mango in the finish. Lazy Magnolia’s brewers use a unique hop blend for an exciting dry-hopped aroma, and with a light straw color and crisp, smooth finish on the palate, this 6% ABV, 60 IBU IPA will help you extend some “Southern Hops’pitality” to your loved ones. From our porch to yours, Cheers Y’all!